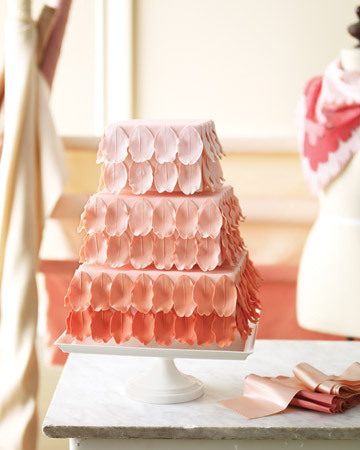 There is something so pretty about graduated colour on anything – think bridesmaid’s gowns for example. 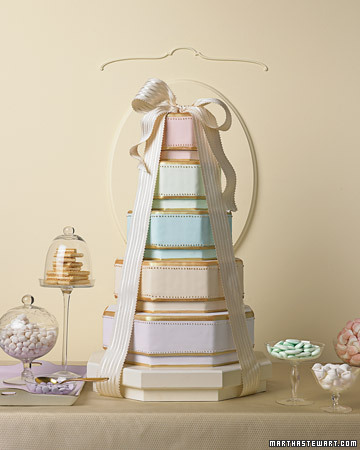 So when there’s a cake involved – how could we resist! 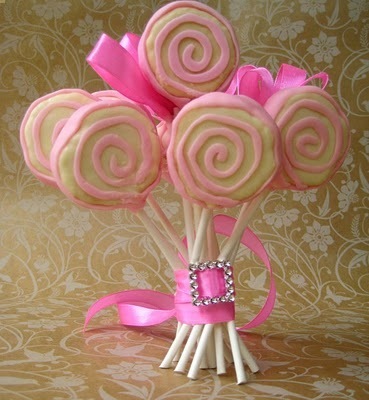 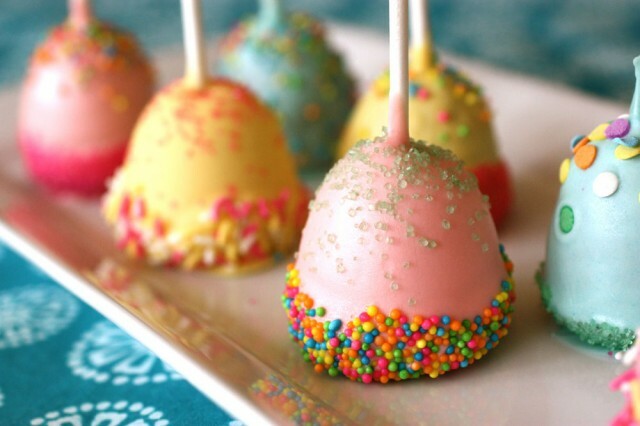 Rainbow cake pops – imagine a cake buffet with different versions of these. 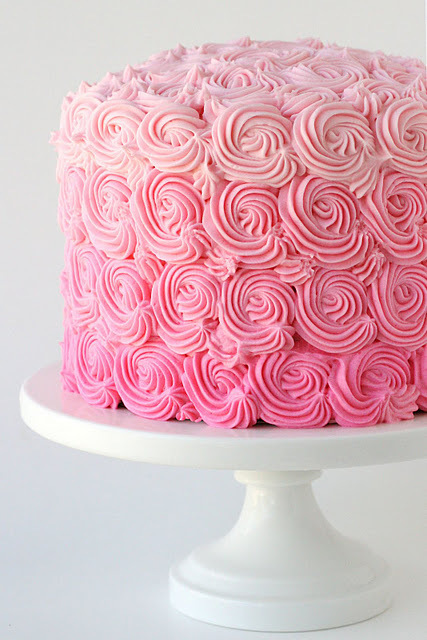 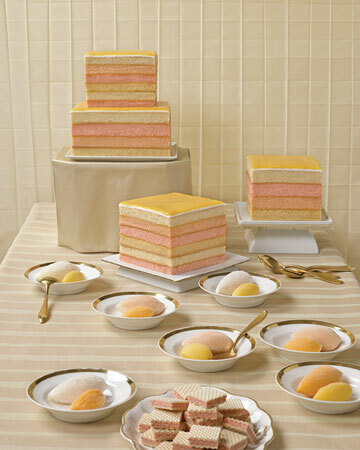 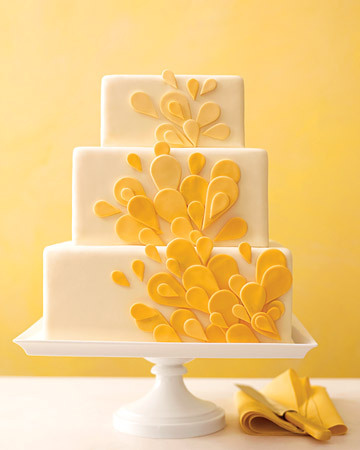 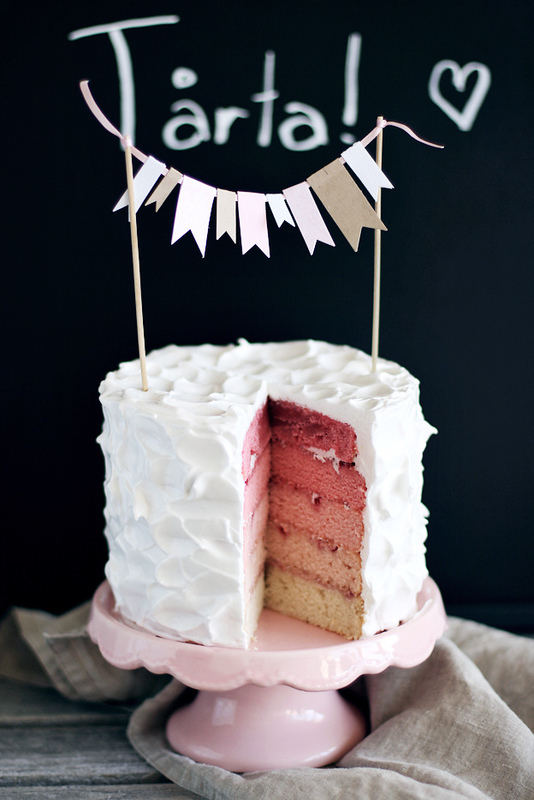 Try different cake flavours, and different embellishments to add to the fun. 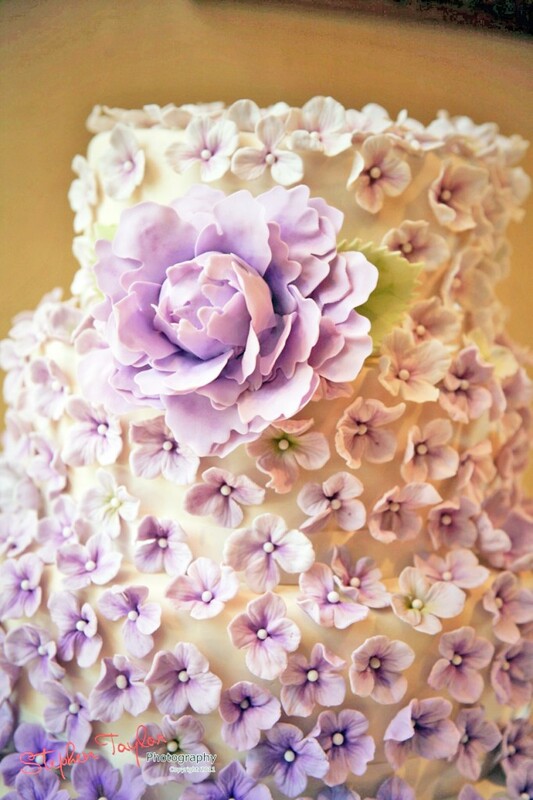 Or ice them all in the main colour of your wedding palette but vary the shade from light through to dark, or variations of the same colour. 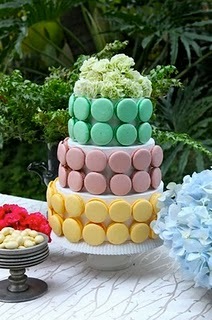 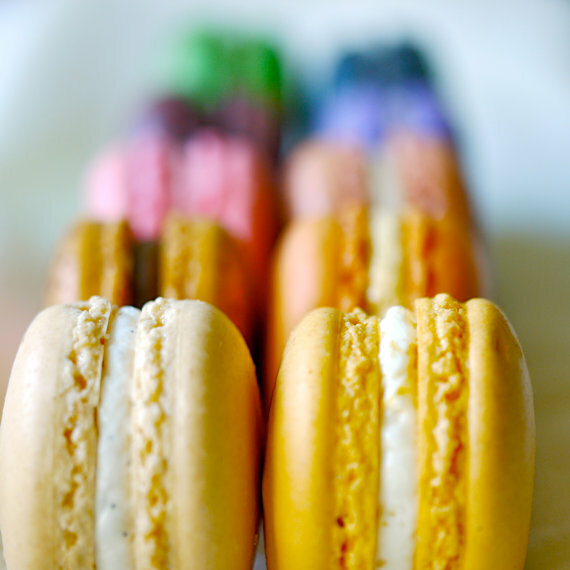 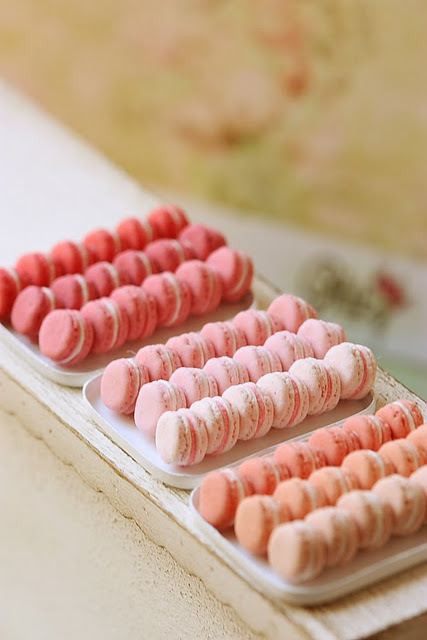 Continuing on with our rainbow theme – let’s look at macarons. 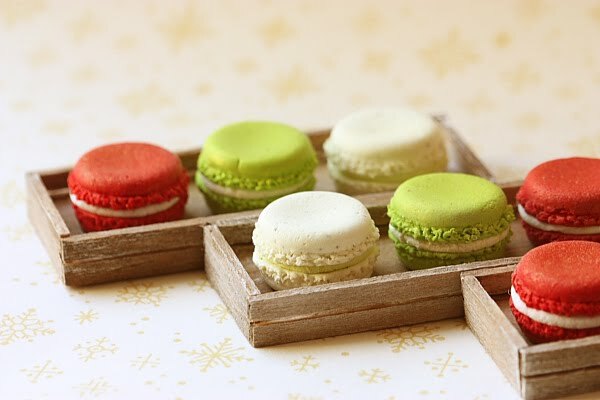 That delectable crunchy yet soft and creamy treat – try stopping at one! 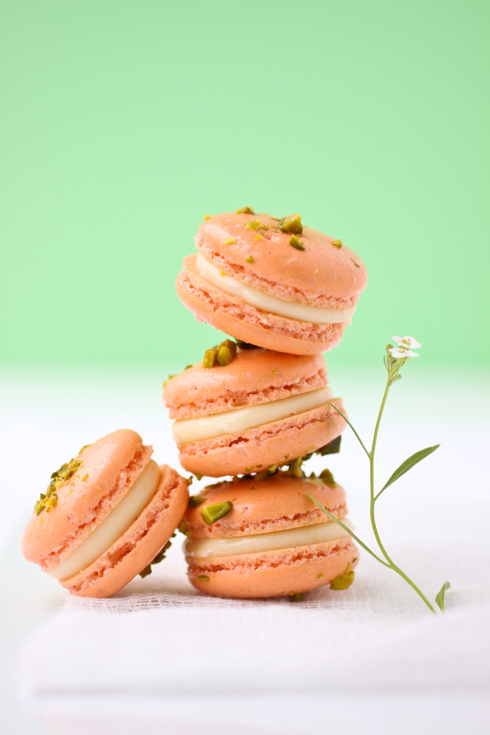 Pistachio and grapefruit macarons from Cannelle et Vanille – are you salivating yet? 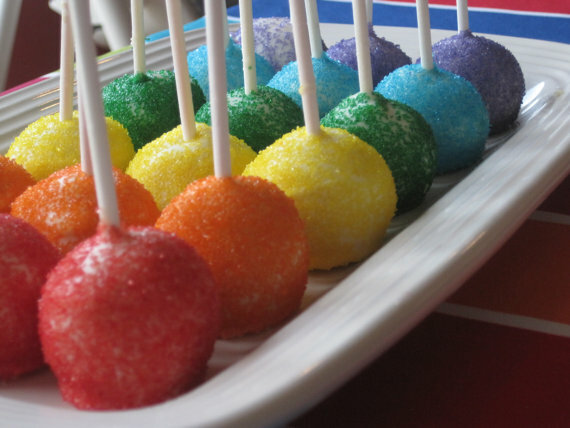 How can you not love rainbows? 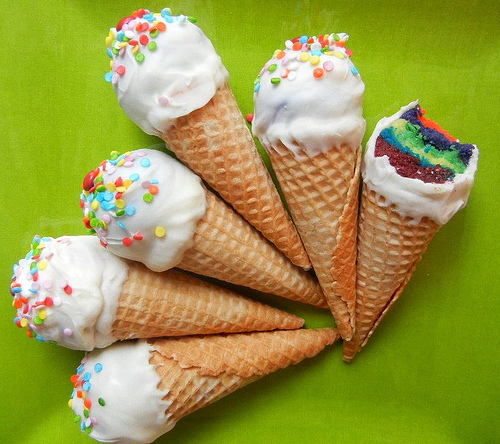 There’s the magic of childhood, wondering about the fairies and that pot of gold, and then there is the amazement that Mother Nature can create something so perfect seemingly out of thin air! 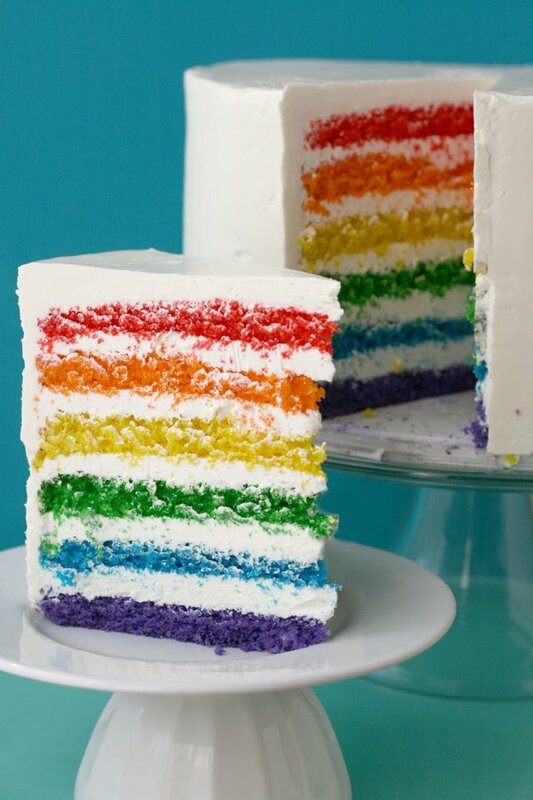 Stay tuned for more rainbow lusciousness next week! 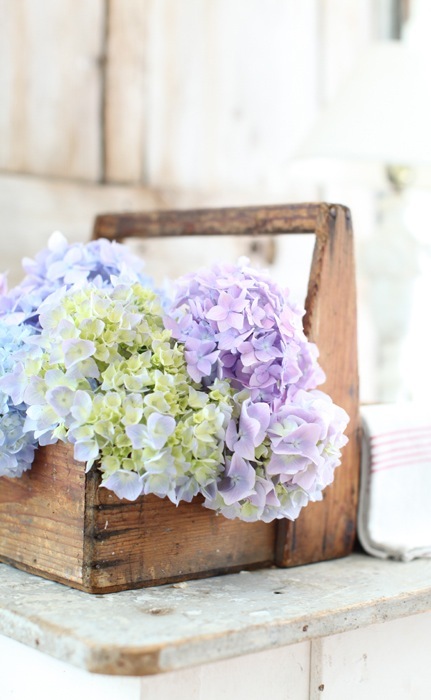 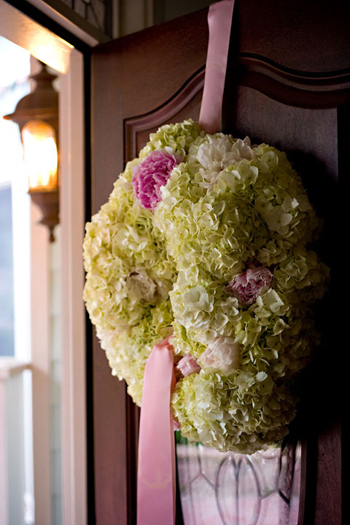 Hydrangeas are a particular favourite of ours here at Bridal Survival. 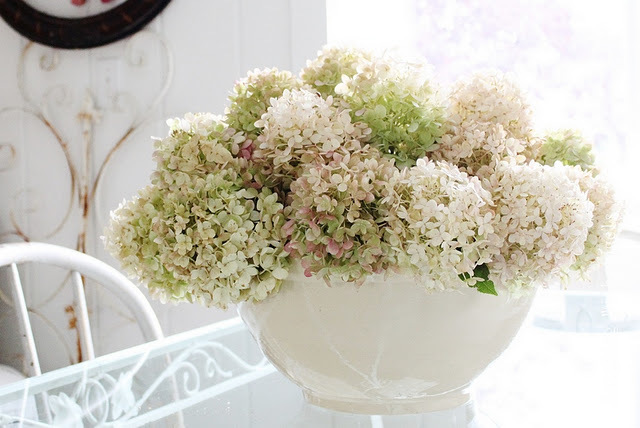 They are delicate with their individual flowers, but at the same time voluptuous with their large nodding heads. 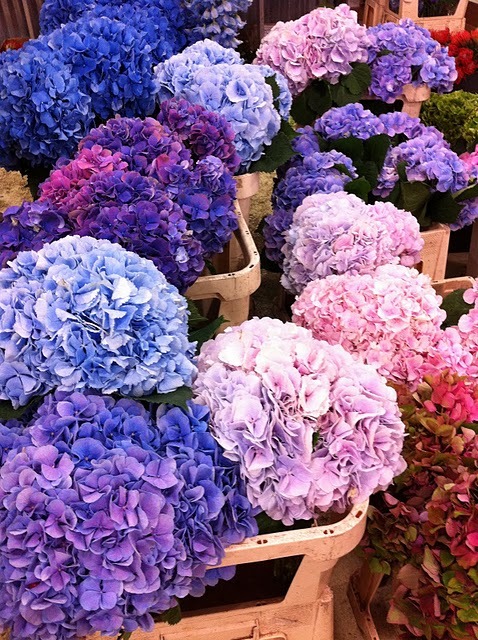 The colours are also so gorgeous – from pinks, whites, blue and purples to greens and the more rustic colours of autumn which come out as the flower dies off on the plant towards autumn and winter. 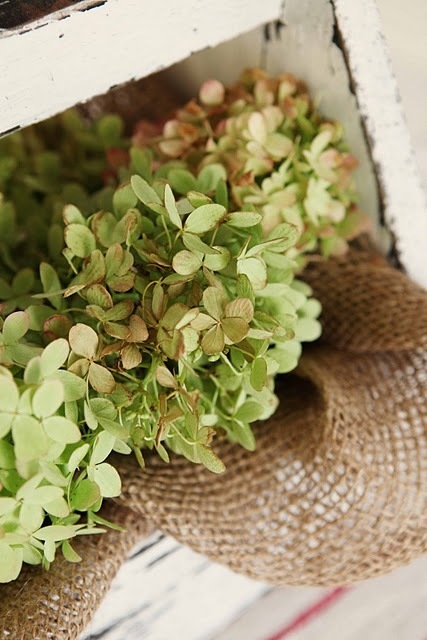 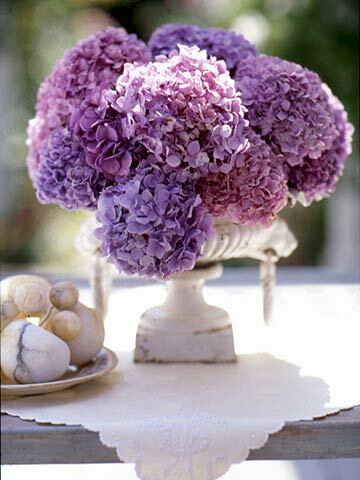 Used in large arrangements or small, they can be as subtle in colour or as bold as you wish them to be.